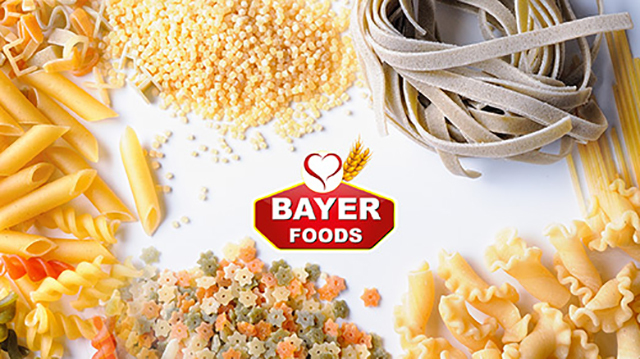 EGYPT – Bayer Foods Company plans to inject investments of EGP 400m to establish a pasta-production factory with a capacity of 70,000 tonnes per year, and another one for biscuits with a capacity of 10,000 tonnes, and a flour mill with a capacity amounting to 180,000 tonnes. The company will establish its new projects on a 30,000sqm land plot in Sadat City. Moreover, the company aims to reach annual sales amounting to EGP 1.3bn by the end of its expansion plan in 2020. It is set to reach sales of EGP 600m ($38.16m) at the end of 2017; EGP 800m in 2018; and EGP 1bn ($63.59m) in 2019. Mostafa Abd El-Hakam, chairperson of the company, said that Bayer Foods completed 85% of the pasta factory establishments, where it is set to begin operations in July, with expected sales of EGP 500m ($31.8m) per year. He added that the company will begin to establish the mill in August for its production to enter the market in the first half of 2018. Once in business, the factory is set to register sales of EGP 900m ($57.23m) per year. Abd El-Hakam explained that the company also aims to begin manufacturing biscuits in January 2019 with estimated annual sales of EGP 200m ($12.72m). He pointed out that the group has doubled the number of its employees to reach 1,200 workers in 2016, up from 600 in 2015, with plans to raise the labour size to 2,000 workers once the pasta factory comes online, and 4,000 when the entire expansion plan is completed. Abd El-Hakam said that exporting and strengthening of relations with suppliers are the company’s top priorities in 2017. He continued saying that they plan to expand in African markets, most notably Madagascar, which accounted for 70% of the company’s exports last year, followed by Arab states in conjunction with taking more market share in Egypt to enhance the company’s position internationally and strengthen its dollar proceeds needed for imports. He ruled out expansion into Europe, as the later only imports products made from semolina flour, which the company does not currently use. The company achieved 750,000 tonnes of exports last year, valued at EGP 10m, marking an increase of 100% from 2015. The company plans to double the value of exports to reach EGP 50m after increasing its productivity. By 2020, the company will reach exports valued at EGP 250m ($15.89m), according to Abd El-Hakam. He attributed the weakness of exports during the last two years to insufficient production at the time, as the company had prioritized the domestic market. Abd El-Hakam expressed his worry about waiving subsidies on freight shipping to Africa, making up to 50%, saying that the high cost wastes Egyptian exports their competitive price advantage. He called on the banks to give exporters the priority in granting hard cash regardless of their size to allow more companies to penetrate international markets, noting that importing raw materials in time is reflecting in exporting on schedule, which is important for the reputation of Egyptian exporters. He also stressed the need to put more interest into international exhibitions to introduce Egyptian exporting companies to foreign markets, adding that holding international exhibitions in Egypt will help companies sell their production surplus and bring back dollars to bridge the gap in the Egyptian trade balance.